Selling your dental practice will almost certainly be a challenge. You’re unlikely to have a lot of experience, so you need the right people helping you, who are reassuringly familiar with the process and protocols. Selling to a corporate may seem an ‘easier option’, however, you need to ensure fair terms are negotiated from the outset. This was the inspiration behind the launch of Frank Taylor & Associates latest business venture, ‘FTA Corporate’. FTA Corporate’s spokesperson, Lis Hughes, explained, “We have been buying and selling practices for over 30 years. Initially, the majority of our sales were between independent practices, however, in the last few years corporate bodies have been increasingly adding to their portfolios. 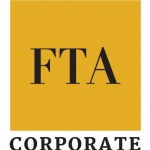 We have been brokering deals between independents and corporate organisations for several years, so the birth of FTA Corporate was a natural evolution. It reassures both owners and corporate bodies that they’re getting a good deal for the business. Having someone acting on an independent’s behalf, who’s sold thousands of practices before, will ensure a smooth, fair and transparent process for all”. FTA Corporate will ensure an efficient sales process, so that both vendor and corporate will get the optimal solution. Selling to a corporate can have many advantages, if you have the right partner holding your hand!